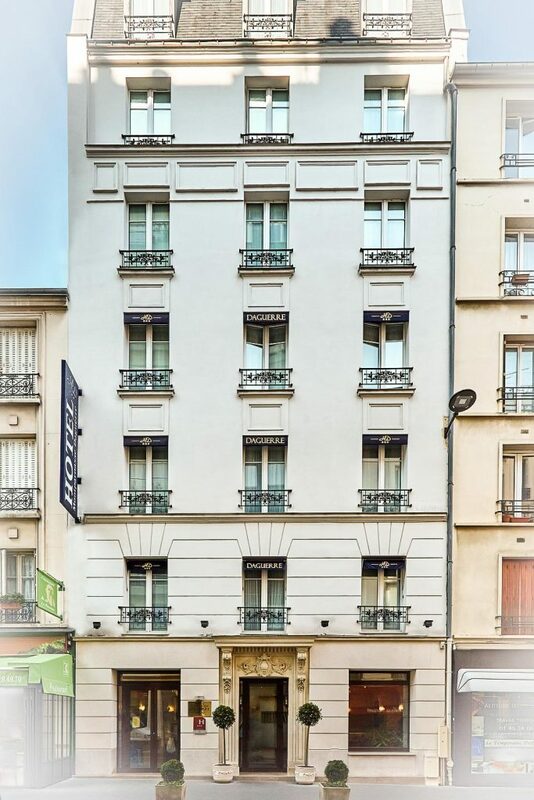 Hotel Montparnasse Daguerre is located in the Montparnasse district of Paris, just 350 meters from Gaîté Metro Station. The hotel is located in the heart of Montparnasse district in the famous and typical rue Daguerre, a very lively district with many shops, bars and renowned restaurants. The Daguerre is situated between the Montparnasse Cemetery and Montparnasse SNCF and Metro station, which provide direct access to Montmartre, the Latin Quarter and Notre-Dame Cathedral.